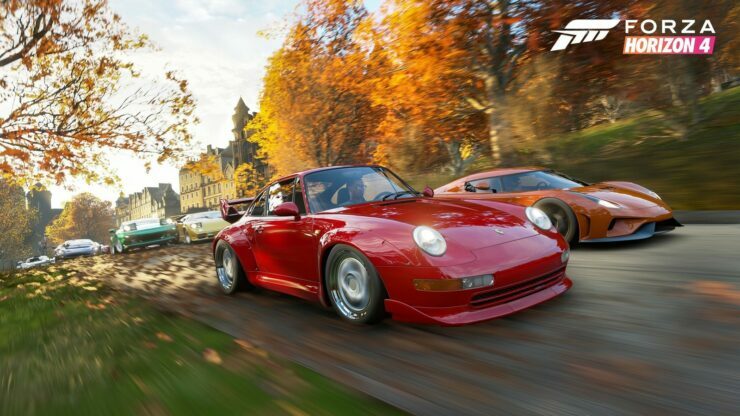 The final drivers are ready from both camps and Forza Horizon 4 is out! Well, if you were anxious enough to drop the dough on the Ultimate Edition. Everyone else will have to wait until October 2nd to burn rubber across the British countryside. But, that doesn’t mean we can’t give you a taste of what to expect performance wise from various graphics cards in this title. We took a look at them demo already for those who are thinking they’re experiencing déjà vu so we aren’t going to spend a ton of time rambling on about the game. Testing the game was a pretty straight forward process thanks to a built in benchmark that is very representative of normal in game performance. The big catch is this game has a ton of options and quite a few variables so we had to make sure to disable those with each restart and hardware change ultimately settling with the non variable ‘Ultra’ preset. There are settings that will allow you to take things to the extreme, well that’s what they call it anyway, but we’re sticking to a solid preset for today. Testing took place at 1080p, 1440p, and 4k taking the average of 3 runs to account for margin of error, which there was very little between runs. The fact that it is both a UWP title and DX12 means that old world methods of extracting performance beyond what the benchmark spits out at the end. We incorporated a combination of OCAT and an in house spreadsheet that extracts the Average Framerate as well as the 1% and .1% lows to better represent what the experience is in game. 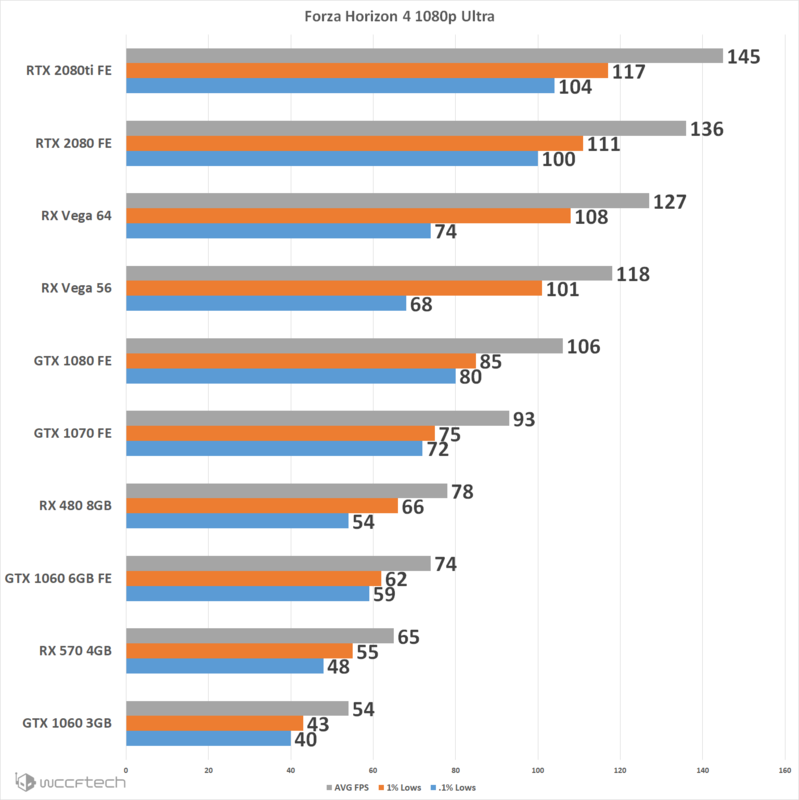 Below we’ve listed the hardware we tested with and the drivers used. 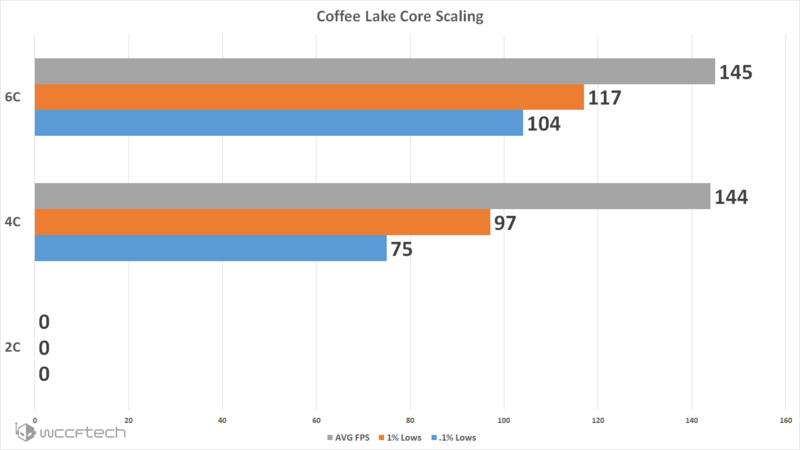 I almost left this one out this go around since we’ve switched to primarily using the Z370 Coffee Lake for our testing since gathering results for the RTX 2080 and RTX 2080ti review but felt it important enough to show the state of core scaling in this game. Still no support for two threads but interestingly enough with the higher clocked 8600k paired with the RTX 2080ti at 1080p Ultra we start to see some real differentiation between 4 cores and 6 cores. Sure the averages are within margin of error but we see the minimums take a pounding by losing those other two cores, wonder how a high clocked 8 core might fare in this test. So there we have it, final drivers, final build. 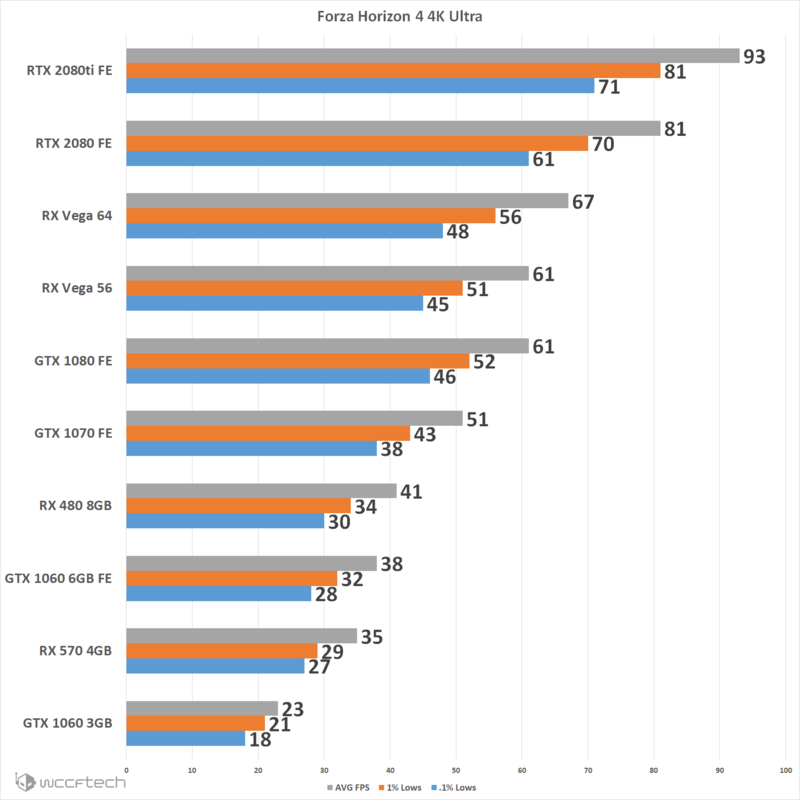 Radeon put up an absolute astounding showing of performance on average frame rates across all resolutions when compared to their similar tiered counterparts. But that’s not without a caveat, the .1% and 1% do negatively impact the overall experience. 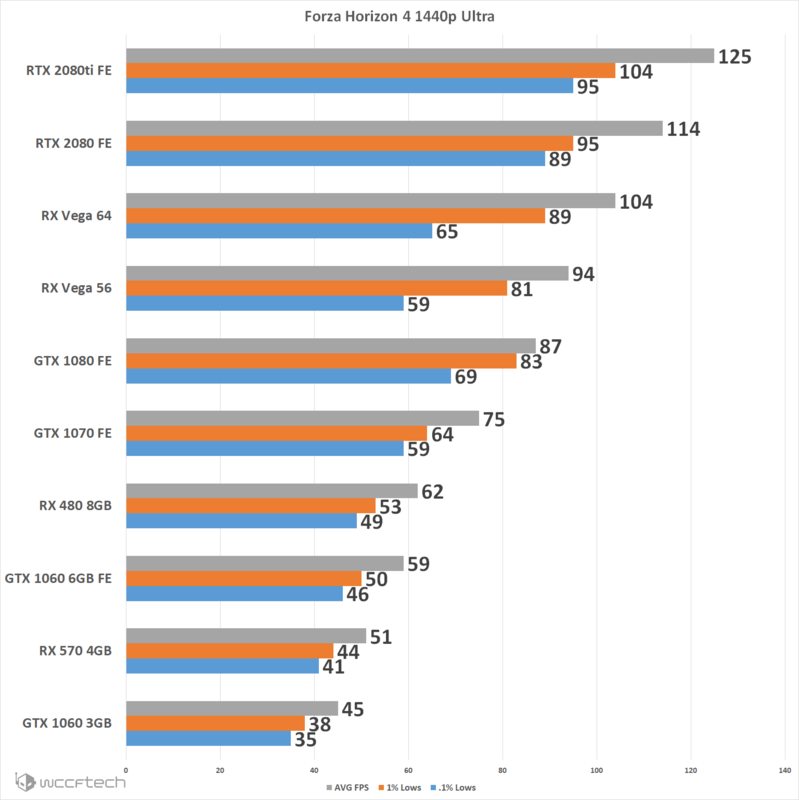 On the surface the Vega 56 is toppling the GTX 1080 in averages, but the GTX 1080 carries a tighter spread between averages and lows resulting in a smoother gaming experience, but does lose that advantage at 4k when the more budget friendly option of the RX Vega 56 matches the GTX 1080. The RTX 2080ti of course brought the highest performance metrics allowing this game to be run at full bore 4k Ultra and even the RTX 2080 never dip below 60FPS, meaning you could tick on that VSYNC option and never miss a beat or worry about jitter or tears, provided you don’t have a 144z 4K G-Sync panel to really soak up this game with. Either way, the game runs great, and the performance tweak are about for those wanting to crank the frame rates. Let the green light go, I’ve got a race to win.